If you are arrested for driving under the influence of alcohol or drugs, your car will be seized by police. They will call a towing company, and your car will be taken to an impound lot. Your vehicle will remain under lock and key until you are able to lawfully get your car back. You can’t just show up and pay a fee or simply demand that your car be returned. And you certainly won’t be able to walk onto the lot with your spare set of keys, get into your vehicle, and drive away. Your car will be under tight security, and cameras will be monitoring everything you do. The longer you wait to get your vehicle out of the impound lot, the more it is going to cost you when you finally pick it up. Right off the top, you will have to pay the company for towing the car – it doesn’t matter that you aren’t the one who wanted to car towed. You still have to pay the fee. You’ll also have to pay the tow yard charges, as well as a daily fee for storing your vehicle. Therefore, each day that the car is in the lot, charges are being tacked onto your bill. The sooner you can arrange to pick up your car, the less you will have to pay. The towing representatives won’t care about your sob story about being in jail or not having a ride to the lot. The charges will add up no matter what circumstances you are facing. 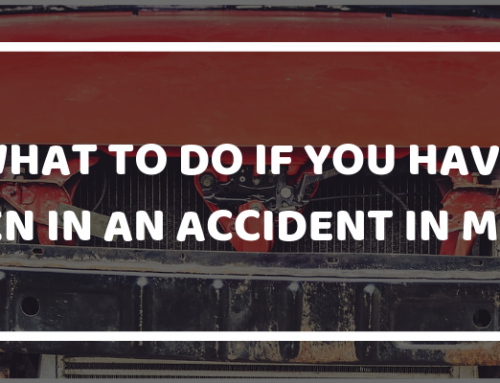 Not just anyone can show up to claim a vehicle from the impound lot. Only the owner of the vehicle – presumably you – can pick up the vehicle. So that’s means that even if you were driving a friend’s car when you were arrested, the vehicle can still be impounded, and you won’t be able to pick it up on your own. You’ll have to go with your friend to get it – or your friend will have to get it and pay the fees, which isn’t likely to do much for your friendship. The owner of the vehicle will have to show proof of registration, proof of insurance, and a valid driver’s license. If you don’t have any of these things, you won’t be able to take the vehicle. The dilemma that many people arrested for DUI face is that they don’t have a way to drive their vehicle home from the impound lot. Sure, they can drive the vehicle, but many have had their license revoked and are not legally able to drive it. Some may get a temporary driver’s license after their arrest, or some may have restricted driving privileges. Drivers have to show proof to be able to take the vehicle home. If you are not able to drive, you will need to bring someone with you who can drive the car for you. You will show that you are the owner, and the person will show proof of being able to legally drive. The towing company won’t release the vehicle without proof of ownership and proof of legal driving privileges. Having your car towed after a DUI arrest can just be one more frustration on top of everything else you’re dealing with. However, knowing what you’re going to have to deal with can help you better prepare so you can make the whole process easier on yourself. Of course, the best way to manage after a DUI arrest is to hire the best DUI lawyer you can afford. My AZ Lawyers can help you if you’ve been charged with a DUI in Mesa. Our experienced attorneys will help you fight the charges and restore your driving privileges. Our goal is to help you avoid prosecution. If that isn’t possible, we will work to minimize the penalties you face. Contact us today in Mesa to schedule a consultation with one of our experienced DUI attorneys.